I don’t know about you but radiators do come to mind on mornings like this when the weather not only does not get better, but promises to get hopelessly worse. 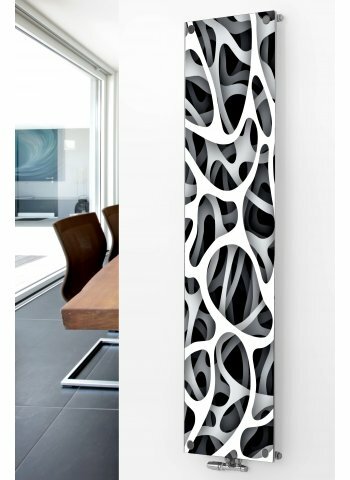 Not surprisingly, beautiful radiators come from European manufacturers and many from UK. The older buildings are a clear-cut market for rads since they’re easily retrofitted. 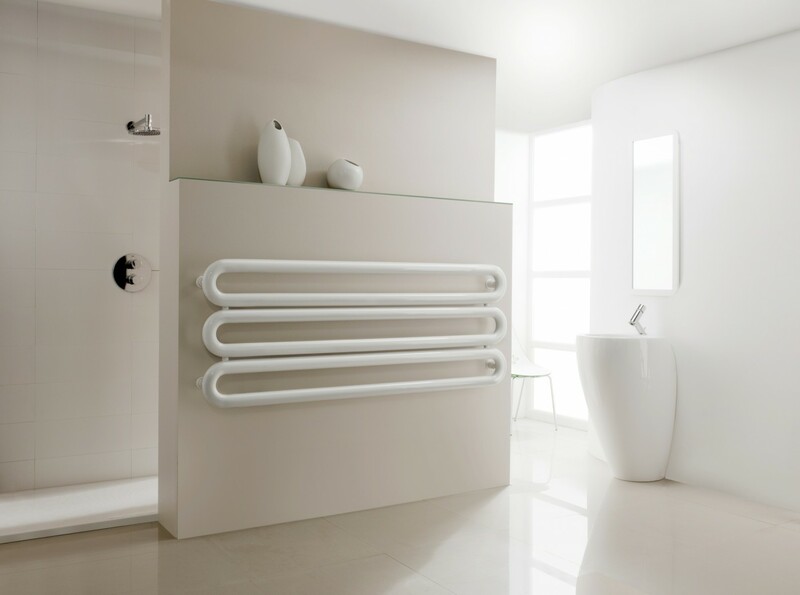 In North America with its influx of new construction and forced air systems predominant, radiators are often left out. One of my personal favourite is the Tuboni made by Iconic. 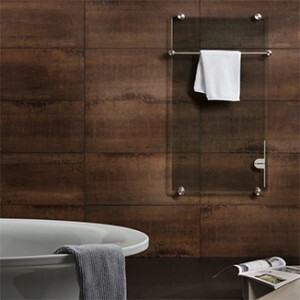 It comes in a few colours and can complement a bathroom in various ways. 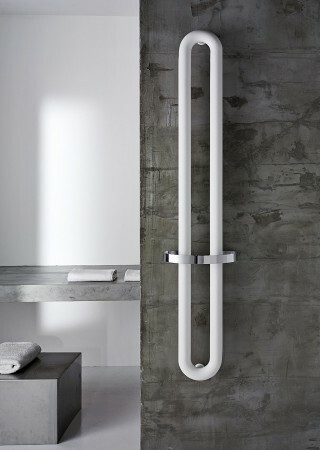 Based on PEX (chemically cross-linked polyethylene) tubing invented in 1968 by Thomas Engel, this sleek and adaptable design can be installed vertically or horizontally. 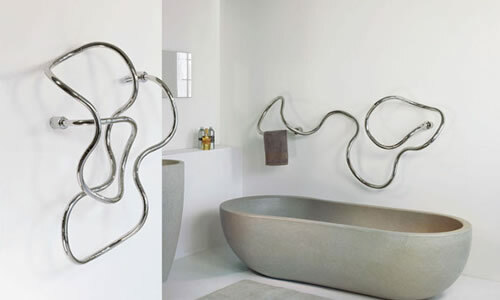 For the same company, Francesco Lucchese designed a donut-like radiator called Otto-Zero that elegant as it is, can even be put in your office shower – if you have one. Glass radiators are coming in strongly. A graceful model out of UK is Agadon. They can have a variety of patterns. 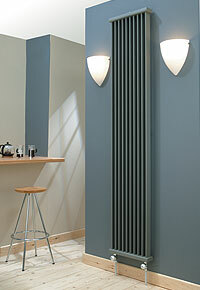 Or the less decorated Thermovit from Glass Radiators. but if you prefer, it also has a less organized more organic counterpart. 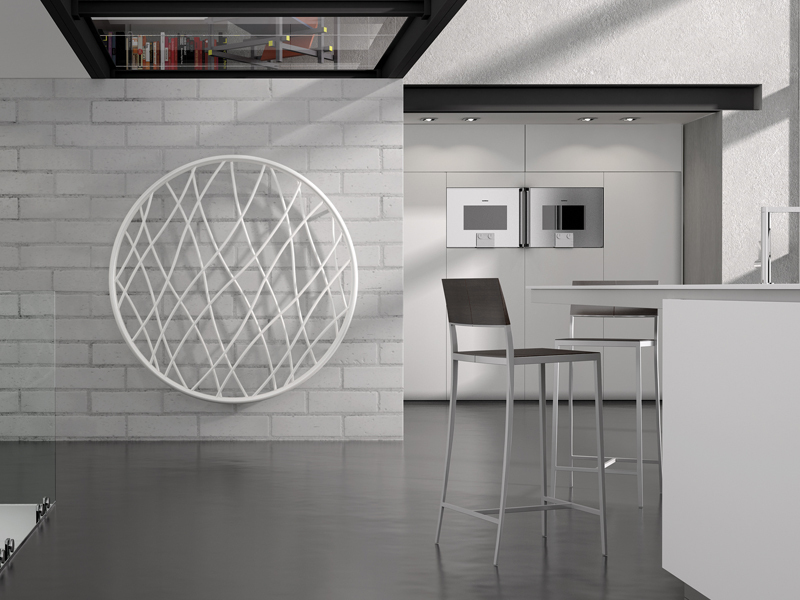 Kermi achieved beautiful shapes thru an engineered aesthetic. 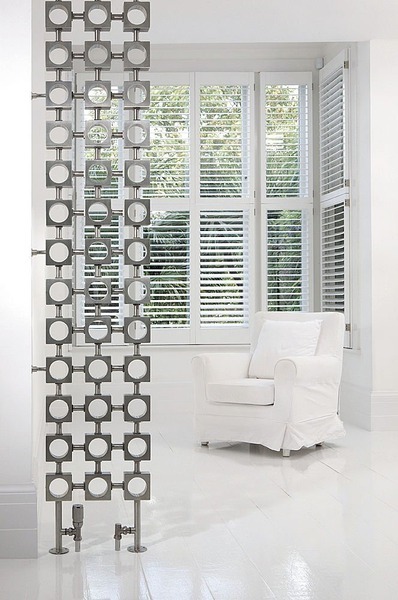 For a more decorative look check out the art-deco John Cooper below. Another version of this concept is the Lokum rad by Aeon. 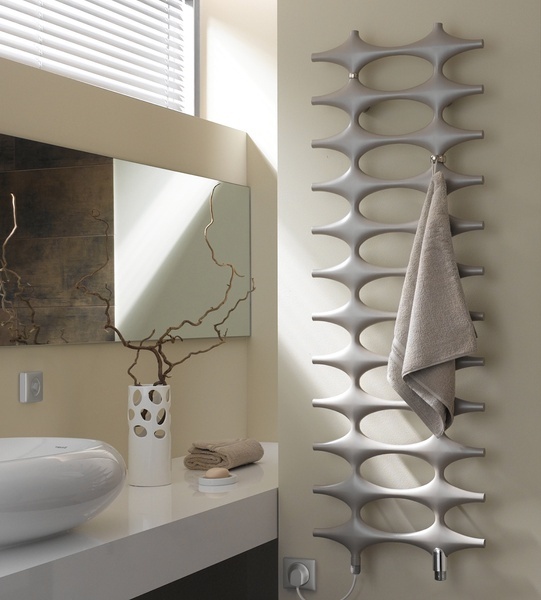 An elegant metallic lattice that can act as a room divider as well as diffuse heat. Aren’t these beautiful ways to keep warm!